Colors influence how we respond physically and psychologically to what we see. We use them to organize, convey our mood and describe our surroundings. Have on-demand flyers, forms and more, at the ready, with no heat in the process. We'll connect and integrate a RISO system to coexist within your working environment and help you share documents as you need. We believe that having the best equipment available puts you in the best position to achieve. The FW offers the process, footprint, and increased user experience we've been waiting for. Offering a unique and user-intuitive control panel, the FW can fit in to a small work space and bring a fresh approach to short-run printing. Take on new projects and know that you have a reliable device on the network! Copying, printing and scanning, on-demand. With unmatched speeds and vibrant color the 3110 is the first in its class to produce high-volume prints with a low-carbon footprint. As versatile as it is dependable, the curved paper path allows for easy double-sided printing. This machine makes printing a packet of flyers or hundreds of documents a cinch. Leader in ledger, on the cutting edge of fast. 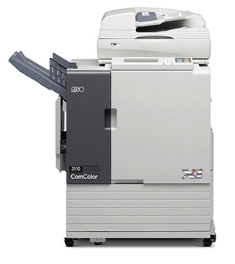 Similar to the 3110, the 7110 is a necessary tool for offices looking to print a variety of applications. The image area capabilities and increased rate of pages per minute, make this machine a favorite. With even more opportunities for dynamic color and creative paper functions, this machine is ideal for users printing posters and publications. The RISO Comcolor X1 9150 delivers high-volume prints at maximum speeds. The 9150 is the powerhouse of production equipment. With accompanying accessories you can run more volume at a more frequent pace. Designed to offset large presses, this could be the partner to any device that has a high operating cost. 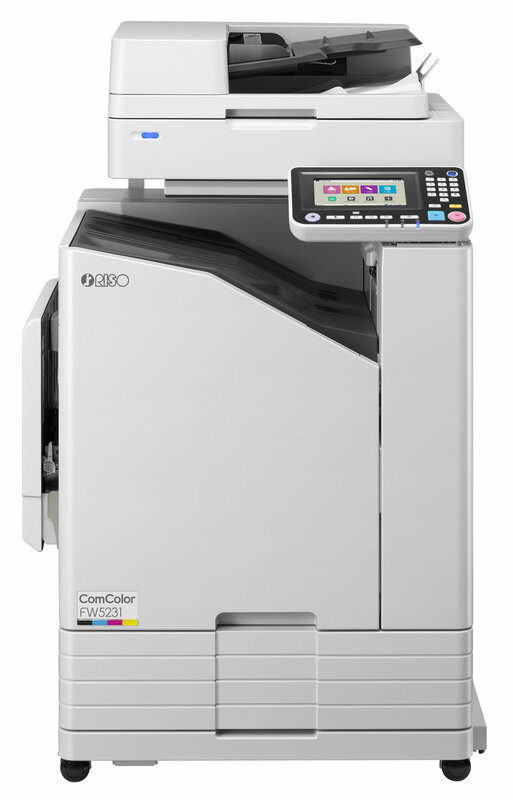 Together, the devices function as an in-house system that completely re-imagines how you print. Risograph technology is rated to produce millions of copies, allowing you to share more, even more frequently. Our model helps support businesses. Hallagan Business Machines considers the total cost of ownership when helping you create a plan to incorporate a Risograph. Our commitment to high-quality products is why we choose Riso again and again.